TME offer includes a series ofHARTING Han Kit, which comprises of complete kits of Han industrial connections. Choosing a product of this series, the Customer neither have to be familiar with components nor they have to separately select individual components since they receive kits ready for mounting. 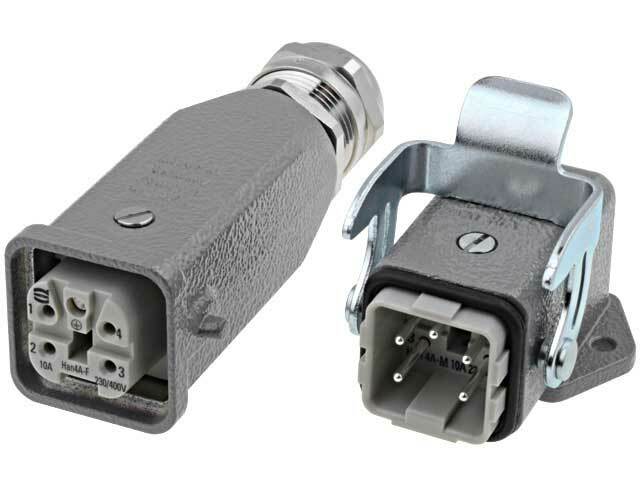 What is more, the price is more attractive than the price of connectors completed individually. The kits have pin configuration from 3+PE to 24+PE with the rated current of 10A or 16A. Connections are equipped with comfortable screw terminals.